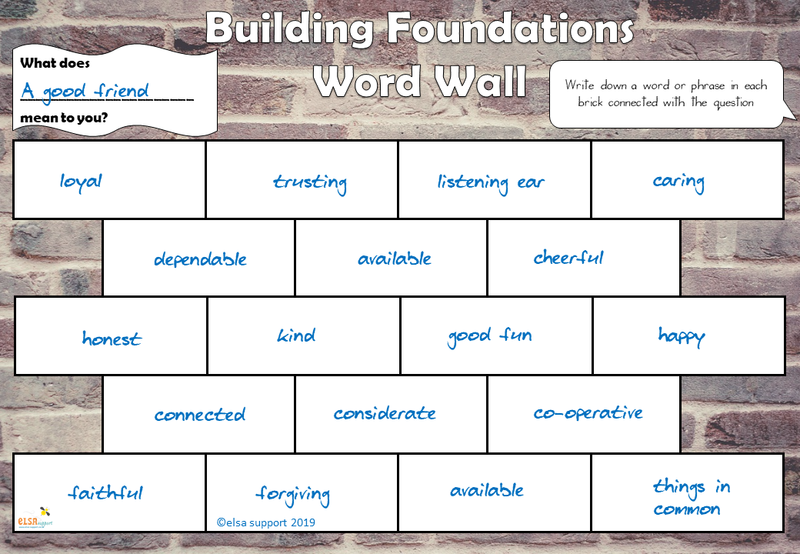 Building Foundations Word or Picture wall. This is a great way to explore an area in more detail. Prompt if the child gets stuck. There is also a sheet for children to draw something associated with the question. This could be used one to one or with a group of children to find out all their ideas. Print onto A3 if using for a group. Please click this image to take you there. i find these resources helpful. will surely use with my clients.